Learn how to create your own customized reports. Purchase from CBA and get 1 hour of FREE training on Sage 50 Intelligence Reporting with a CBA Certified Sage Intelligence Consultant. CBA is Arizona�s Premier Diamond Level Sage 50 Certified Master Consultants (formerly Peachtree), also serving clients in California and nationwide. 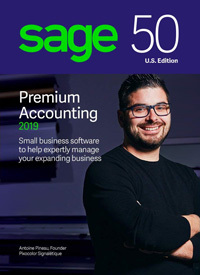 We offer the full line of Sage 50 (formerly Peachtree) accounting software including Sage 50 Quantum 2019. We also supply business checks, forms, and supplies. How can we help you? Check out our services page. If you need help with upgrade installation, job costing set-up, inventory set-up, or training, we're here to help! We're Arizona's Master Certified Consultant for Sage 50 Accounting. We do Sage 50 classes and training online via webcast worldwide and in person in Arizona and the surrounding states, including California. CBA is also proud to offer a number of supporting business solutions including VersAccount's ERP solutions, document storage, and invoice management. 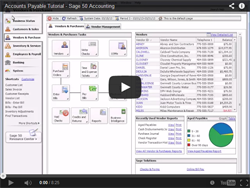 Click here to see why Sage 50 Accounting Software is the best your company can buy. 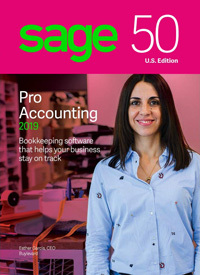 Make your business life easier with Sage 50 2019 Accounting, the solution that adapts to your needs and helps you organize and manage your business. Sage 50 is designed and delivered by people who understand small businesses and are ready to give you relevant advice and support when and where you need it. Save time and money and accomplish more every day with Sage 50 Accounting! Sage 50 (formerly Peachtree) Quantum 2019 Edition is the answer to all your workflow and inventory control challenges. Includes industry-specific features so you can streamline your business and get everyone working as one.